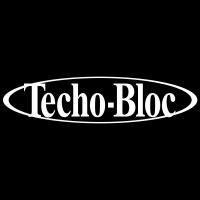 Techo-Bloc is looking for a Digital Marketing Specialist. If you meet the requirements below, you will be eligible to apply via Digital Marketing Community. Plan and present strategies to drive online traffic to our websites and other digital corporate assets. Develop and implement all web, SEO/SEM, remarketing, email and social media campaigns. Recommend budget adjustments for digital media mix for campaigns on (AdWords, Bing and Social Media advertising) platforms. Measure market conditions and benchmark against competitor data. Evaluate and report performance of all digital marketing campaigns, assess against goals (ROI and KPIs) and optimize future initiatives based on these insights. Measure and optimize end-to-end customer experience across multiple channels and digital customer touch points. Track conversion rates and work with the design and programming team to make improvements to UX, UI, design and content. Interact with other team members face-to-face, over the phone or email to maintain positive relationships and clear communications. Bachelor’s degree in management, marketing or a related field. Minimum 3 years of proven experience working in the same role. Extensive experience in managing social media ads, audiences, remarketing and insights on (Facebook, LinkedIn, Instagram, Houzz, Twitter and Pinterest). Proficient working knowledge of setting up and optimizing (Google AdWords PPC campaigns). Expert working skills in managing multiple accounts and campaigns at one time, with (Display ads and remarketing) features. Deep experience in using website analytics tools such as (Google Analytics). Superior understanding of SEO (Keyword research, competition audits and content). Excellent command of written and verbal (English and French). Ability to work independently or as a collaborative team player. Ability to handle and prioritize multiple accounts and multi-task to meet deadlines successfully. Techo-Bloc is known for elevating exterior design by creating landscape stones that push the boundaries of functionality, durability and aesthetics with products that span lifetimes and are engineered to endure the harshest weather.